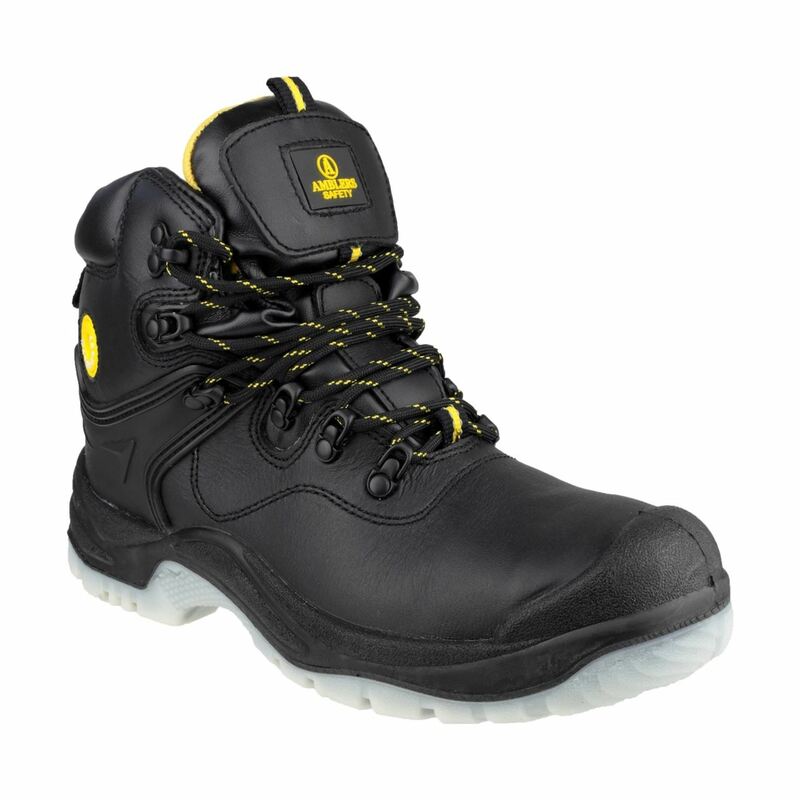 FS198 is a fully waterproof safety boot with toe cap protection and a steel midsole. 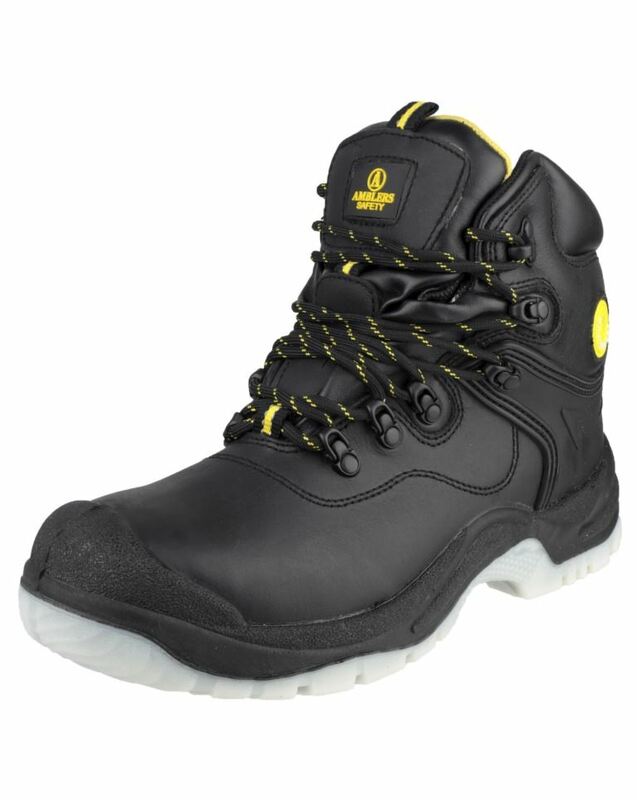 It has a fully waterproof breathable mesh lining and water-resistant leather upper. 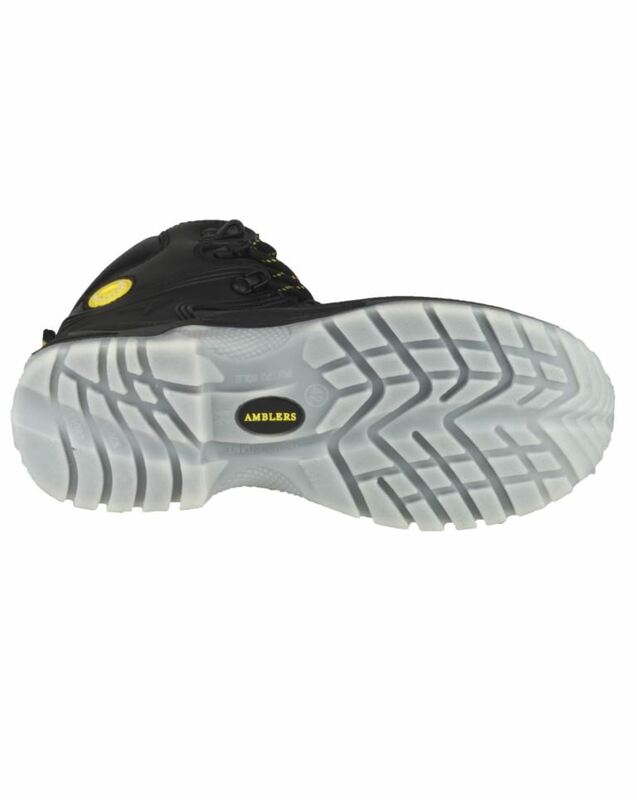 It diminishes foot fatigue via the comfortable TPU/PU sole and shock absorbing heel. Grooves on the outsole channel away fluids giving superb slip resilience. Secure fitting is provided by the six hard wearing D-Ring lace-holds and padded bellows tongue stops debris entering boot. Protective ankle support and handy pull-on fabric loop at heel. EN ISO 20345:2004 - Superseded EN345-1. 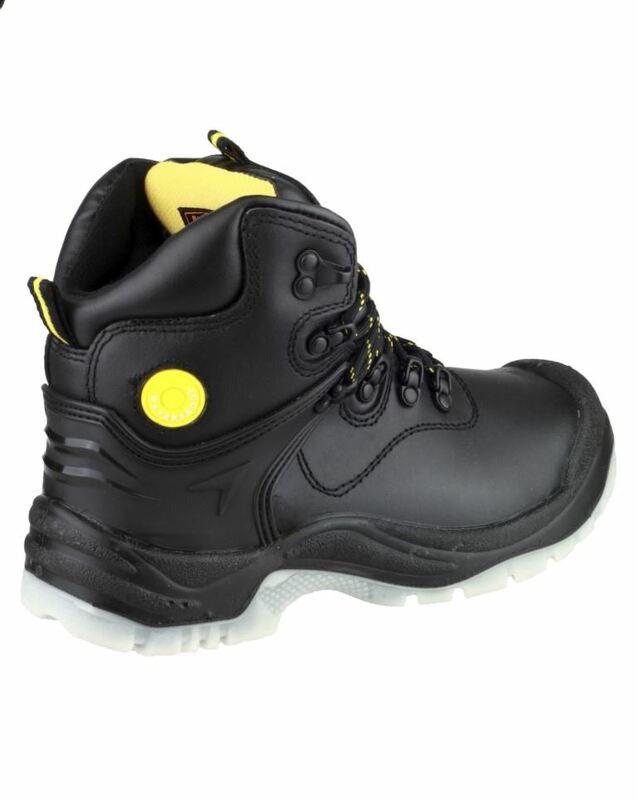 Highest protection standard of safety footwear. Toecap tested to 200J. Made from leather and other materials, cannot be all rubber/polymeric. EN ISO 20345 compliant. These give your toes protection against impact up to 200 joules (or 20kgs dropped from 1metre) and compression up to 1.5 tonnes. 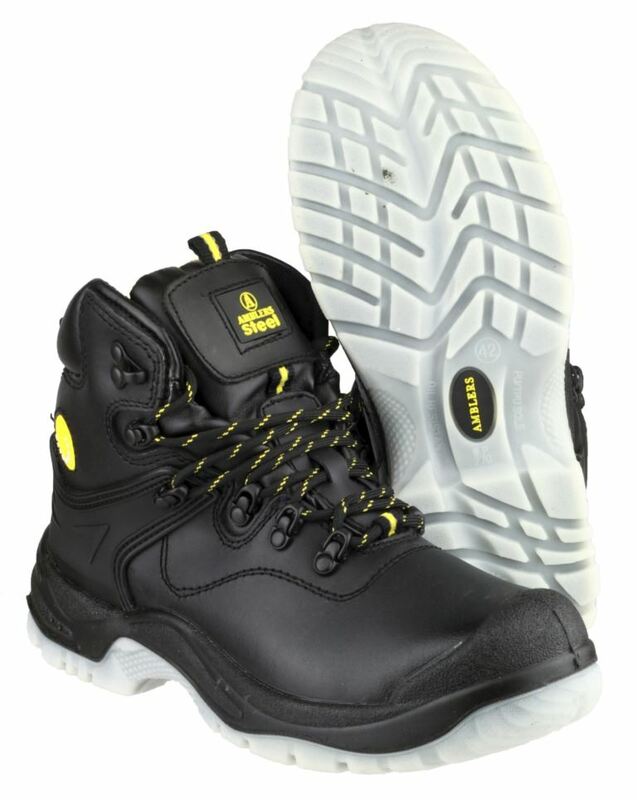 Standard 200 joule toe-cap protection, Closed heel, Antistatic, Energy absorption around heel, Water penetration and absorption, Penetration resistance, Cleated sole.